Darker, deeper, a bit more mystic than what you probably expected from The Bahama Soul Club. In new album “The Cuban Tapes” alluring Tiki is blended with Jazz, Afro-Cuban rhythms and instrumentation, environmental sounds and lush romantic themes with a nod to the Exotica genre. Try envisioning a Jazzband in a Cuban night club in the mid 60s and you get the picture. 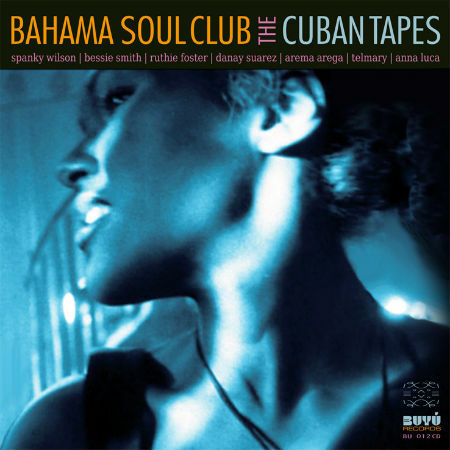 Anticipated by the video to single “Ay Jona” with original vintage Cuban footage (WATCH HERE), “The Cuban Tapes” consists of 17 tracks of the finest Club Jazz featuring handselected vocal guests that include some of the most renowned artists of the contemporary Cuban Music Scene: Danay Suarez, Arema Arega & Telmary Diaz. A grandiose trio which was also selected by Gilles Peterson for his terrific “Havana Cultura” project. As if this weren‘t enough “The Cuban Tapes” also includes three generations of distinguished American singers from past until now, starting with Jazz and Gospel legend Bessie Smith, Soul and Funk diva Spanky Wilson and the Grammy nominated “Soul and Blues Powerhouse” Ruthie Foster. Finally on top of that the wonderful Anna Luca from mighty Club Des Belugas. By the way, the album includes cool remixes from Club Des Belugas, from Italian shooting star Suonho and from French Swingmaster Grant Lazlo as bonustracks!